Delish. That is all. 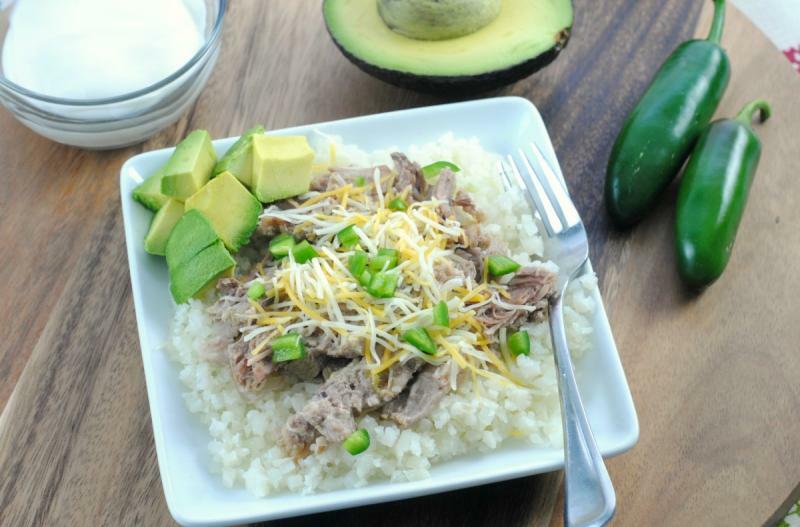 This low-carb and ketogenic friendly shredded pork will rock your taste buds! Seed and dice the jalapeno(s). Place the pork roast into the base of the slow cooker and sprinkle the garlic powder, ground cumin, salt and pepper on top of the pork roast. Pour the salsa verde and add the diced jalapenos on top. Just before serving, prepare the cauliflower rice. Once the cooking time is complete, shred the pork with 2 forks and remove from the slow cooker with slotted spoon when ready to serve. Spoon the shredded pork onto the cauilflower rice and add preferred toppings. 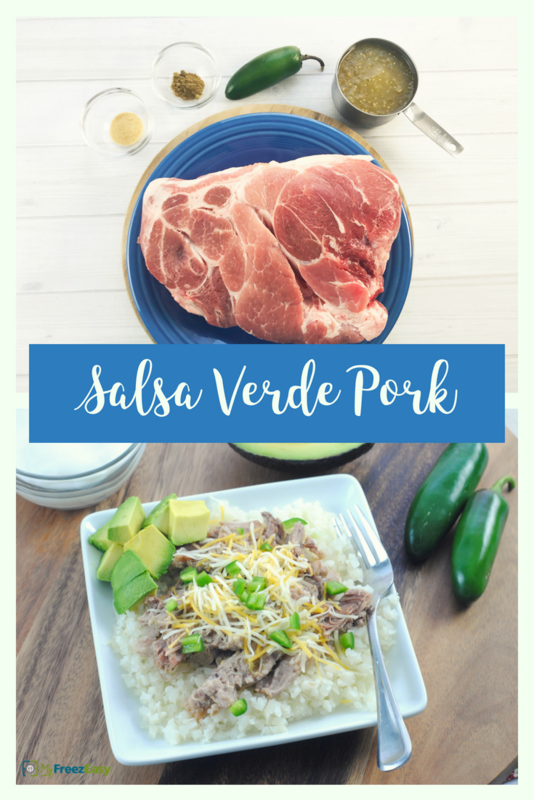 Serve Slow Cooker Salsa Verde Shredded Pork with veggies and preferred toppings. Remove the seeds and dice 2 jalapenos. Put baggie in the freezer and freeze up to 6 months in fridge freezer or 12 months in a deep freezer. Thaw in a warm bowl of water for about 20 minutes, before transferring to the slow cooker and cooking on low for 8 hours. Omit cheese or sour cream garnish. Thaw partially or completely before adding to slow cooker. Set slow cooker on low and cook for 8 hours. Once cooked, shred the pork and add preferred toppings. Serve over cauliflower rice, with veggies.